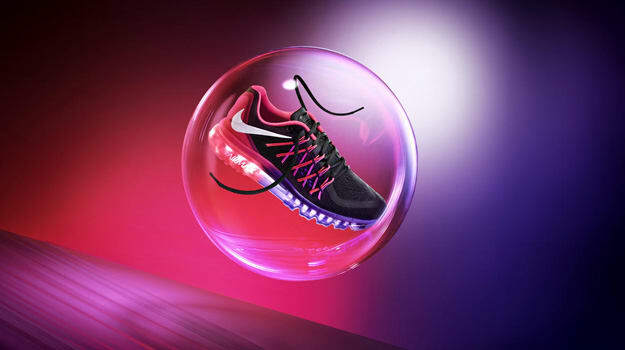 After hitting NikeiD earlier today, Nike has officially introduced the Air Max 2015 to its family of running sneakers. For the first time in an Air Max sneaker, the shoe features an entirely engineered mesh upper in order to give runners better flexibility, fit and comfort. Working in concert with Nike Flywire, the engineered mesh upper wraps and secures the foot in place to provide a dynamic fit. The upper also works in harmony with the full-length Max Air unit cushioning platform. The unit&apos;s tubular construction allows for greater flexibility while still delivering the same cushioning that the Nike Air Max has come to be known for. Rounding out the shoe is it&apos;s bold design which features a reverse Swoosh as a nod to the shoe&apos;s heritage. Six colorways of the Nike Air Max 2015 are set to drop on November 28 with more colors to follow. Take a look at a few of the initial colorways in the gallery above and keep it with Sneaker Report for more Nike Air Max 2015 releases.